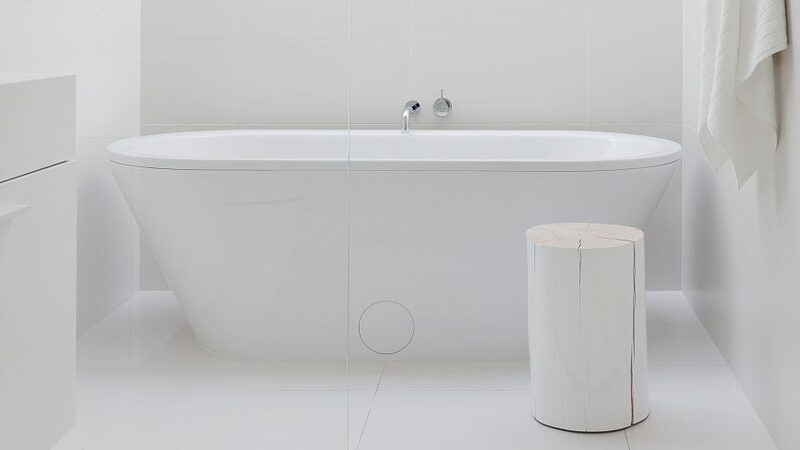 Although bathrooms tend to be the most minimal room in the house, we've rounded up 10 of the most extreme examples, including a lonely bathtub in a Dutch townhouse and a copper-lined washroom in an English countryside property. 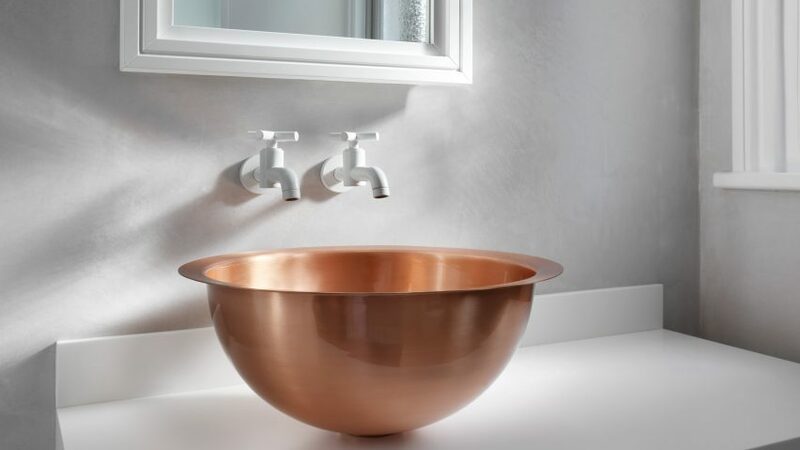 A simple copper basin provides the main embellishment in this white and grey bathroom, which is located inside a Victorian flat in London. Studio Four used an entirely white palette to maximise brightness inside the bathroom of this Australian home. 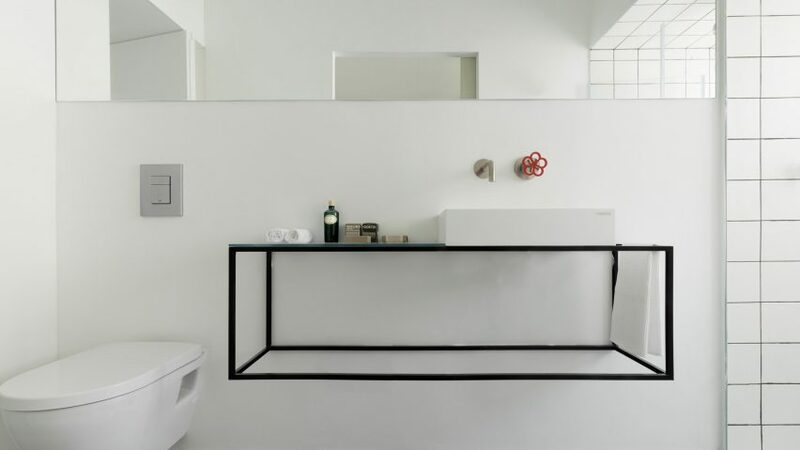 A delicate black frame supports the sink inside the bathroom of this Tel Aviv apartment, which also features personalised details in the form of red Boffi flower taps. 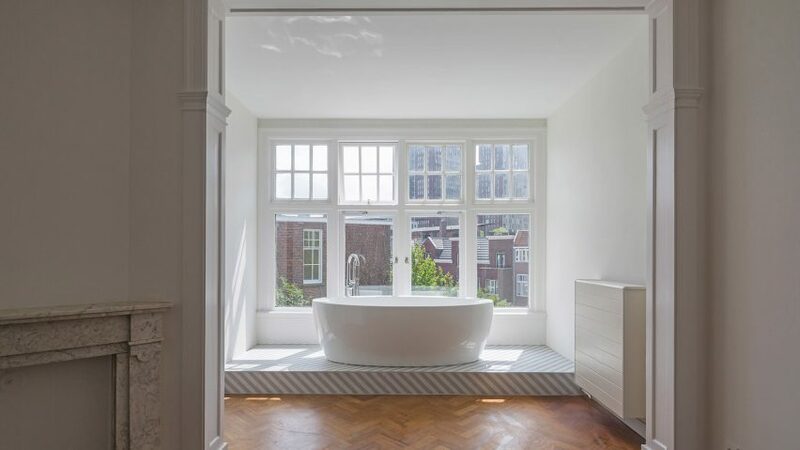 A lonely bathtub sits on a striped tiled platform inside this Dutch townhouse that was renovated by local architect Antonia Reif. 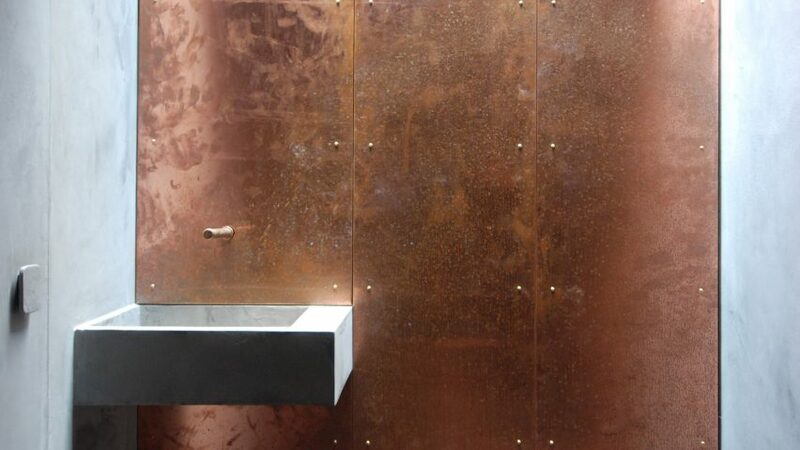 A copper shower wall contrasts with the concrete sink in the bathroom of this garden studio in English countryside, echoing the cladding used on the outside of this building. 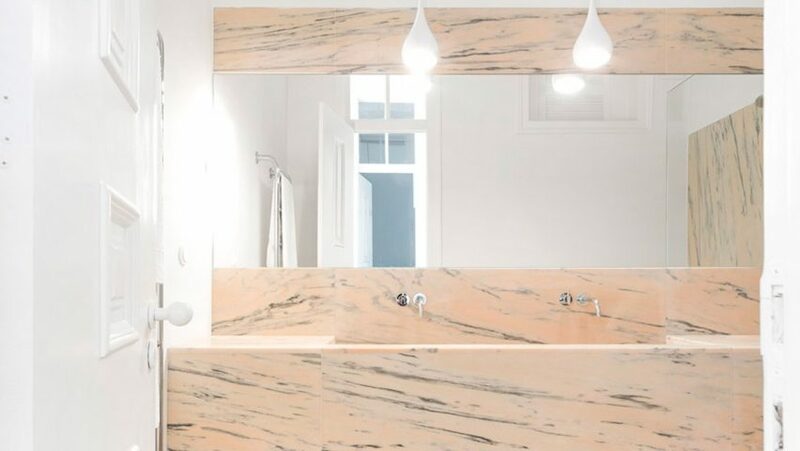 Monochrome and peach-coloured Portuguese marble provides sinks, shower cubicles and splashbacks for the two bathrooms inside this minimal Lisbon apartment. 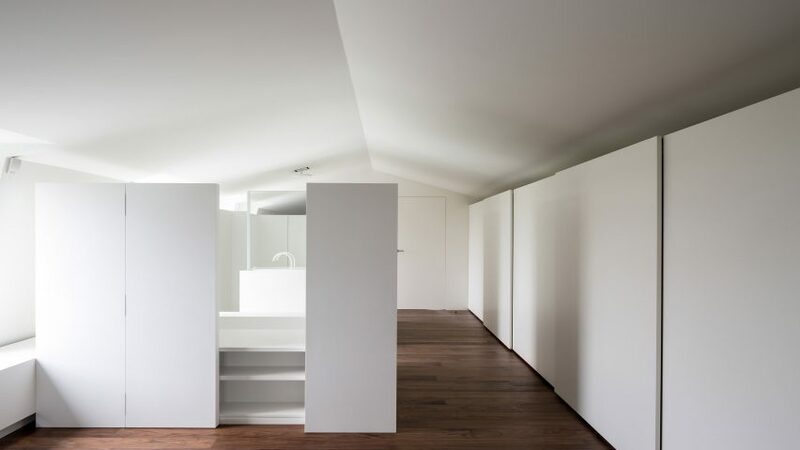 The bathroom for this attic extension in Belgium is positioned in the middle of the room inside a plain white box. 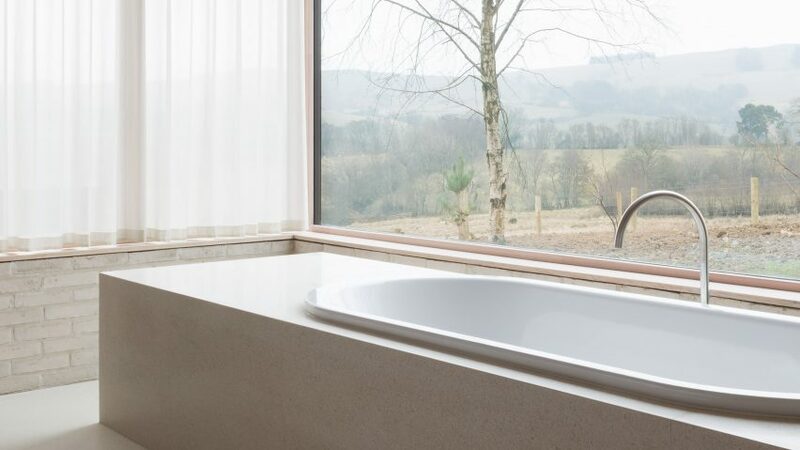 A bath is located in one of the bedrooms inside John Pawson's Life House, in front of a large window that offers views of the surrounding Welsh valley countryside. 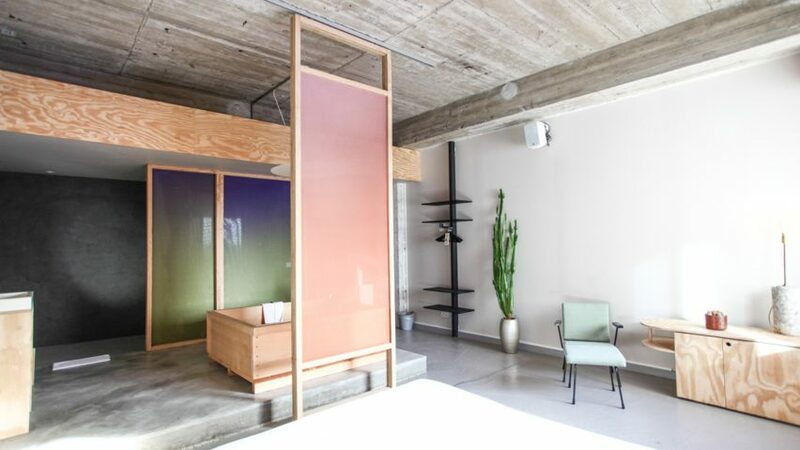 Proving that not all minimalist interiors have to be stark and white, Hannah Maring installed a wooden bathtub and colourful screens inside the bathroom of this suite in an Amsterdam hotel. 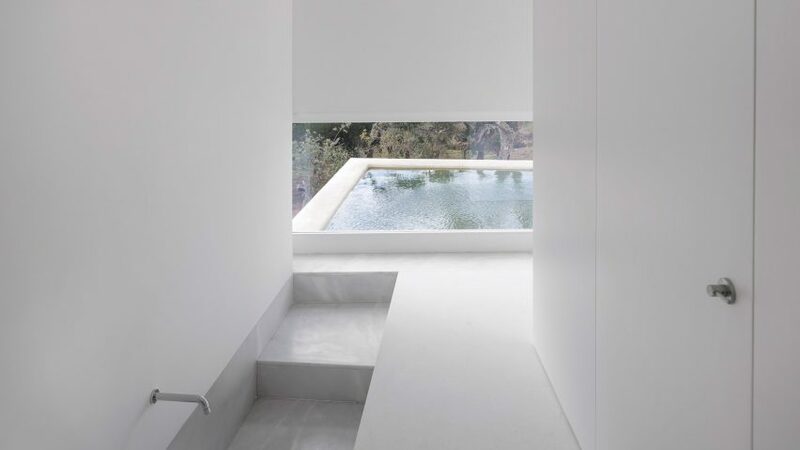 Residents of this Portuguese house by Manuel Aires Mateus can step down into their bath and look out onto the surrounding landscape through a low-level window.